The United States Soo Bahk Do Moo Duk Kwan Federation® is a 501(c)4 non-profit members' organization with USA Federation Membership open to all persons. Member of the U.S. Federation are automatically registered as members of the U.S. Federation's parent organization, the World Moo Duk Kwan. About this question of membership…What do I get out of it? This question is really asking about the value of one’s membership. It is also a question about why one really is or would desire to be a member. If the value of one’s membership is viewed on a superficial level, one will look for what the organization gives and does for the individual. One will look for free clinics, seminars, insurance services, newsletters, decals, stickers, and any number of other short-term consumable and disposable products and services. While these may be useful, they are not the true value of the membership nor are they the true purpose or function of a membership. If the value of a membership is viewed for what it really is then it must be viewed in the way one would view membership in any educational or training institution or foundation. The value must be defined in terms of what the institution does to strengthen and support what it is that it’s about. In short, the Federation is about the Moo Duk Kwan® organization and the Soo Bahk Do® martial art. The Federation's Charter and Mission 2000 should demand its full time and attention. It is the learning environment of Moo Duk Kwan® schools and the martial art of Soo Bahk Do® that offers the individual member the greatest benefits. Through this disciplined focus of attention (Shi Sun) the Federation offers exponentially more than it could ever hope to offer in the way of consumable or disposable services or products. The individual member cannot possibly hope to benefit or gain anything from their membership unless the organizational leadership (i.e., Board of Directors and TAC) is strictly focused on its Charter mission and promoting Soo Bahk Do®. This is central to an accurate understanding of the value of the membership. It is Moo Duk Kwan® institutionalization of the Soo Bahk Do® martial art as a disciplined way of life that the Federation offers the most to the individual member. It is for this reason that any student should want to join because they become a member of an organization that will constantly improve their study and practice of Soo Bahk Do® and promote the Charter and Mission 2000. The clearest benefit to the individual member is the discipline, knowledge and skill obtained through the study and practice of Soo Bahk Do Moo Duk Kwan. This discipline and knowledge is provided through those individuals who are recognized and authorized instructors and practitioners of this art and members of this organization. A second benefit to members is the identity created as a function of purpose, mission, values, knowledge and actions that a collective body believes in and adheres to. The purpose, mission and values of the US Soo Bahk Do Moo Duk Kwan Federation, Inc. are identical to the purpose, mission, values and knowledge espoused through the Martial Art of Soo Bahk Do Moo Duk Kwan and the Kwan Jang Nim. An individual membership is a contribution and commitment to the purpose, mission and values of the organization and is a statement of one’s desire to be associated and known as a person who desires to act in accordance with a stated purpose, mission, and values. Much of this is accomplished through the training and practice of Soo Bahk Do Moo Duk Kwan. However, this identify is not only an individual identity but a collective identity. Thus, the actions of a community of practitioners establish a collective organizational identity. The standards of excellence that are established, enforced, and achieved ultimately provide the basis for authenticity, legitimacy, and credibility. Standards of excellence and the extent to which they are maintained and demonstrated are the means by which individuals and organizations develop an identity that distinguish it from the mediocre, imitations, or worse. An organizational body is the means by which standards of excellence are communicated and preserved among a community. Thus, one’s identity is clearly linked not only to what one does as an individual but the communities to which one belongs. For us, individual members, their identity is closely linked to the Federation and the extent to which the Federation executes its purpose, mission and values. An individual membership is a statement. It is a statement of about what an individual member believes in, what they wish to become, how they wish to act, and how they wish to be known. In short, an individual membership is a statement about who you are. Authenticity differentiates the real from the imitation or forgery. Legitimacy differentiates what is authorized from what is unauthorized. This is the only organization in the US recognized, authorized, and endorsed by the Founder of Soo Bahk Do Moo Duk Kwan, the Kwan Jang Nim. Anything else claiming to promote or train in Soo Bahk Do Moo Duk Kwan is an imitation and illegitimate. Authenticity and legitimacy are derived from a moral authority and primary source. The primary source and moral authority of Soo Bahk Do Moo Duk Kwan is the Kwan Jang Nim or his successor. Without his acknowledgement and endorsement there is no authenticity or legitimacy. This is similar to every institutionalized authority. Without the recognition, acknowledgement and endorsement of some agent that is acknowledged and recognized as a primary and legitimate authority and source, neither authenticity nor legitimacy can be inferred. For example, without the stamp of the State of Illinois, my driver’s license and is a forgery. If it was not authorized or endorsed by the State of Illinois it by definition did not come from the state and is therefore a fake, an imitation, a forgery. Since it was not authorized it is also illegitimate and therefore, illegal. 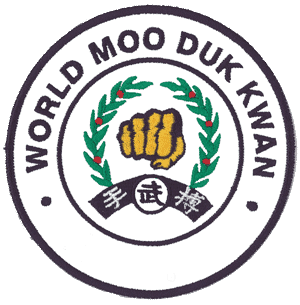 Similarly, since the US Soo Bahk Do Moo Duk Kwan Federation, Inc. is the only organization in the US authorized and recognized by the Kwan Jang Nim, membership in this organization is the only legitimate means of practicing and training in the Martial Art, Soo Bahk Do Moo Duk Kwan. It also legitimizes all certification and rank awarded. Something that is authentic and legitimate increases its validity and credibility as it subjects itself to a systematic and rigorous process of observation, testing, and evaluation. This requires the development of minimum requirements, standards or benchmarks against which an individual is measured. In short, minimum requirements, standards and benchmarks validate performance by saying that if anyone can do or knows such and such then he/she has achieved a predetermined benchmark (e.g., rank) of knowledge, competency and skill. By validating performance and only through a systematic validation of performance does certification have meaning. Without the rigor of a systematic validation process that is consistent, fair, rigorous, and measures performance against pre-established criteria, a certificate is useless. A certificate is only one means of communicating that the bearer has completed some systematic training and testing process and met predetermined standards and criteria for performance. Is the consistency between what and individual or group says and does. Credibility is what is believable. When an organization establishes objective and fair means of (a) disseminating a body of knowledge, (b) testing performance and achievement, and (c) provides an official endorsement of an individual’s competence it provides credibility to both the organization and the individual. Credibility is obtained by the individual when they have completed a disciplined process that is widely recognized as being authentic, legitimate, and valid. Credibility is obtained by the organization when they back up what they do with their name and reputation. The credibility of an organization is strengthened when it gains wider acceptance and respect from the larger community outside of its membership. Wider acceptance and respect is acquired through organizational and institutional means and the contribution an institution makes to its moral ownership—that is, its members. Of all of the elements described above that contribute to the value of a membership, none is as important as the value derived from the relationship between individual members and institutions. In Soo Bahk Do Dae Kahm, Volume 1, Kwan Jang Nim states that two of five principles governing all military tactics and strategies involve “great leadership” and “social atmosphere”. The building of institutions is the essential work of leadership and the building block of a society is the institution. The most fundamental examples of social institutions include family, education, religion, business, military, government, and law. Family is the basic unit of any society. Education is the means by which societies pass on beliefs, values, knowledge and technologies. Religion establishes a sense of morality and accountability to a higher authority. Business contributes to an improved quality of life through the transaction of material goods and services. The military provides the means by which a community can defend and preserve its way of life. Government provides the mechanism by which a society disciplines and leads itself. Law establishes discipline and order within a community and a basis for preserving human and civil rights. In short, institutions are the means by which a community or society develops, promotes, and preserves a way of life. a clearly defined mission that incorporates a philosophy, values, and a disciplined body of knowledge and actions. Soo Bahk Do® as a martial art and the Moo Duk Kwan® Federation both meet these criteria. Understanding the importance of institutions to a society is essential to your development as a Soo Bahk Do® practitioner. It is central to a complete understanding of the value of individual membership in the Federation. Individual membership in the Federation is membership in a community of martial artists committed to developing, promoting, and preserving Soo Bahk Do Moo Duk Kwan as a personal discipline and as a way of life. This membership is a mutual relationship between an institution and an individual. On the one hand, an individual membership is a commitment to the values, principles and practices of Soo Bahk Do Moo Duk Kwan and the community of practitioners dedicated to developing, promoting, and preserving them. On the other hand, an individual membership is a commitment by the institution to the individual through actions dedicated to developing, promoting and preserving the values, principles and practices of Soo Bahk Do Moo Duk Kwan. By choosing to become a member an individual communicates their desire to support the institution and thereby support what they derive through their training. The institution communicates their support of their members through their leadership and actions dedicated to developing, promoting and preserving the art in ways that benefit individual members. This is the fundamental relationship between ANY individual and the institution. In our case, it is a relationship that focuses both parties (i.e., institution and individual) on Soo Bahk Do Moo Duk Kwan, not on consumable services or products. Keep in mind that these values, principles and practices are embodied in the Charter and Mission 2000 statements. Therefore, the linkage between Soo Bahk Do Moo Duk Kwan as a Martial Art and the institution are essential to the preservation of Soo Bahk Do Moo Duk Kwan as a Martial Art. Without the institutionalization of the Martial Art through the organizing of a community of practitioners to develop, promote and preserve the art, essentially the Art ceases to exist. Thus, an institution is fundamental to the preservation of Soo Bahk Do Moo Duk Kwan. It goes without saying that an institution cannot exist or be sustained without a body of members dedicated to a common purpose. Our common purpose is stated in the Charter and Mission 2000. Therefore, the value of your membership is directly and immediately related to Charter and Mission 2000. Your membership is an individual belief in and commitment to the development, promotion, and preservation of Soo Bahk Do Moo Duk Kwan. Your membership is a statement of commitment to the institution of Soo Bahk Do Moo Duk Kwan and the community of Soo Bahk Do Moo Duk Kwan practitioners. Essentially, you join this organization because of what you believe and your desire to commit to your beliefs. Without this understanding, you relegate the organization to nothing more than a distributor of disposable and consumable products or services. Understanding you elevate the organization to an institution devoted to the preservation of a Martial Art knowing that what you get out of this organization is what you contribute – nothing more, nothing less. Your membership is a personal contribution and a commitment, not a transaction. It is a statement of commitment to a set of beliefs, a way of life, and a community of people, not a sale for products or services that you can trash when they wear out or you get tired of them. It is a belief that only through the preservation of Soo Bahk Do Moo Duk Kwan through a commitment and contribution to the institution that one derives both personal and individual gain – and that this gain is the study, practice, and knowledge of Soo Bahk Do Moo Duk Kwan. The value of what is offered by your membership and any certification or endorsement is cumulative. It cannot be measured in dollars or tangible benefits but only in terms of the cumulative value of your knowledge and skill, authenticity, legitimacy, validity, and credibility. However, this cumulative value is only afforded through the institutionalization of the values, skills, and knowledge related to Soo Bahk Do Moo Duk Kwan and your connection to it. The value of a membership is the full support and backing of an institution not only in preserving and promoting a way of life but in offering opportunities to individual members to build a community—a community of individuals with common beliefs and a common purpose. Without this connection there can be no institution, individuals become isolated, learning becomes fragmented, and ways of life quickly die. Thus, an organizational membership is basic to the organizing of a community of Soo Bahk Do practitioners. It is the only way in which Soo Bahk Do Moo Duk Kwan can be effectively preserved and institutionalized as a Martial Art. It is the only way in which our Martial Art becomes a Living Art—it lives through its members and its institutions. Through the membership in a community one gains an understanding of the Martial Art of Soo Bahk Do Moo Duk Kwan in ways that a single instructor cannot possibly hope to communicate alone or be learned in isolation by an individual member. In addition, to conclude that one could effectively learn, teach, and progress in their study and practice of Soo Bahk Do Moo Duk Kwan without this connection is false because the Kwan Jang Nim has clearly established that this connection is an essential element of Soo Bahk Do Moo Duk Kwan. This is consistent with the two elements of military strategies and tactics, “great leadership” and “social atmosphere”. In other words, you cannot be studying and practicing Soo Bahk Do Moo Duk Kwan if you are not a member because a key element of this Martial Art is what the community of members offer to the individual practitioner and what the individual practitioner offer to the full community. This is the answer to the question: “Why can’t I just train without being a member of the Federation?” You simply cannot separate your practice of Soo Bahk Do Moo Duk Kwan and your membership in the community of Soo Bahk Do practitioners. They are one and the same. To do so would be tantamount to eliminating hyung or deh ryun from your training and continuing to suggest you are training in Soo Bahk Do Moo Duk Kwan. To practice Soo Bahk Do Moo Duk Kwan requires you to be a member of a community of Soo Bahk Do Moo Duk Kwan practitioners. Your involvement and participation in this community vis-à-vis your membership is an essential element of your training. It is this community-connection that instructors and students alike fail to see and understand when they ask this latter question. This community-connection is absolutely essential for the achievement of Mission 2000 and the promotion of Soo Bahk Do Moo Duk Kwan. Finally, the value of your membership is the support and contribution you make to the achievement of the Charter and Mission of the Federation. It is a commitment to a belief in the values and principles embodied in Soo Bahk Do Moo Duk Kwan. Through your membership you support something you believe in and you want to promote. Your membership is a commitment of support to Soo Bahk Do Moo Duk Kwan, the organization, and the community of practitioners to which you belong. As a member you are an essential contributor to building an institution dedicated to the development, promotion, and preservation of Soo Bahk Do Moo Duk Kwan. You cannot put a dollar value on your membership but the value of your membership in terms of knowledge and skill, identity, authenticity and legitimacy, validity, credibility, institutional support and individual support is as real as the Newsletter. The value of your membership cannot be seen and sometimes goes unrecognized except in what you become as a person, the opportunities it creates for you, and what you are more capable of contributing to others as a person that you would otherwise not be able to contribute had you not become a member. This value is very similar to the value of a high school or college diploma. Similar to a high school diploma or college degree, the true value of your membership is what it has led and supported you to learn, to be, and to become, and not in anything tangible you can put in your hands. The Federation offers institutional support for a lifetime of training and opportunity. Without the institutional support and endorsement of the Federation, the value of what you know and what you have learned or become is only what you alone can convince others to believe. Thus, the value of your membership is not only your knowledge and skill, authenticity, legitimacy, validity, and credibility but the COLLECTIVE knowledge and skill, authenticity, legitimacy, validity, and credibility of the entire Federation. This is the collective value and weight of an entire community or institution. When you review the Charter, Bylaws and Mission 2000 you will note some common factors. They cannot be implemented by a single individual alone. They require the exercise of “great leadership”. They are focused on building a “social atmosphere” of harmonious relationships through the discipline of Moo Do. In short, the Charter, Bylaws and Mission 2000 can ONLY be achieved through the strength and resources of an institution, not by any single individual. This is the primary purpose of becoming a member of this organization – to support the building and health of an institution dedicated to achieving the Charter and Mission 2000. This is the primary value of your membership – as a member you are an integral and fundamental contributor to the building of a Moo Do institution. In short, it is a statement of who you are and what you believe in—nothing more, nothing less.